Is your bounce rate high? Do you want your website visitors to come back? Then you need to be using ad retargeting campaigns. Ad retargeting gives you the enviable power to directly target advertising campaigns to reach interested people. Retargeting places a small little code on people’s devices who’ve bounced from pages on your site. You then get to follow them around, persuading them to come on back to finish their purchase, tell them about an event, or offer them a free ebook and so on. 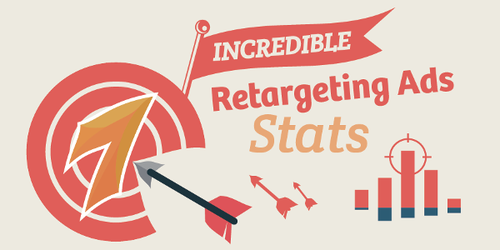 But do you know just how effective ad retargeting is? That a website visitor who’s been retargeted with a display ad is 70% more likely to convert with you? That 72% of online shoppers abandon their shopping cart and only 8% of those lost consumers return to complete the purchase? That ad retargeting brings 26% of lost consumers back to finalize a sale? Did you like this infographic? Share it! If you want to embed this infographic, simply save it to your computer, upload it to your website as media, and drag and drop your unique URL.